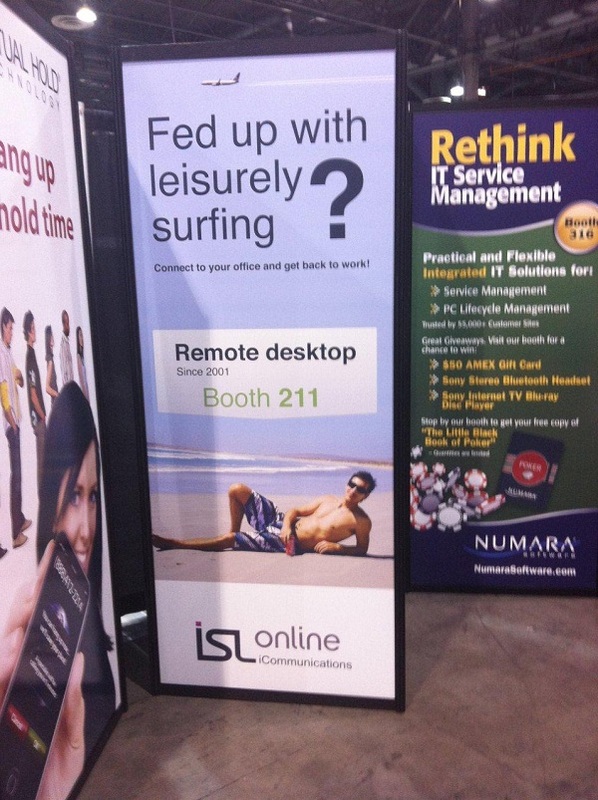 Fed up with leisurely surfing? Connect to your office and get back to work! Now, joke aside, if you are an ISL Online fan, make sure to accept Bobo’s invitation and visit us at our HDI stand (booth 211). You will be warmly greeted by our staff in a leisurely atmosphere, served a welcome drink, and be given an inside view of our latest technology in help desk products. Not lucky enough to be in Las Vegas? Don’t worry about it. I will be blogging about every noteworthy piece of news and bring you live coverage of the show. So, stay tuned! This entry was posted in isl online, remote access, remote desktop, remote desktop support and tagged conference, expo, HDI, help desk, help desk fair, remote access, remote desktop support. Bookmark the permalink.